Over the past couple of years we have turned our attention back to Bordeaux. Not so much the massive oak rich, full bodied style, though we have those as well, but we have been making it our goal to find softer, daily drinking red Bordeaux in prices that welcome you back. Our customers have commented over and over again how nice it is to be able to affordably drink Bordeaux again and have proven it by purchasing full cases to have on hand at home for weeknight meals and dinner parties. Good enough reason for us to keep our noses buried in glasses of value Bordeaux in search of the next big hit. Just a few weeks ago in a tasting appointment of several we found this lovely Chateau Dumas Cenot. Located on the left bank Bordeaux Superieur is of higher quality than just AOP Bordeaux. More richness, depth and power are what you can expect to find in Bordeaux Superieur but they are still very drinkable young and friendly enough for easy meals and daily drinking. 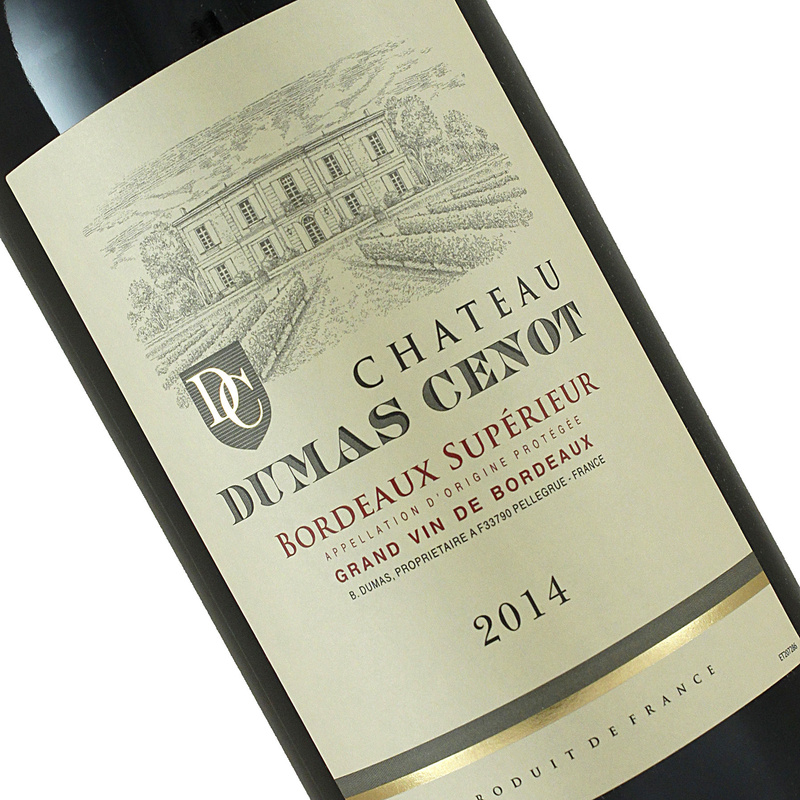 This Chateau Dumas Cenot is made from Merlot, Cabernet Franc and Cabernet Sauvignon and it offers plenty of bright red fruits, hints of dried herbs and black tea along with some faint earthy notes on the wonderfully structured finish. A perfect wine for grilled meats, cheese plates and anything stewed. Lovely wine that even comes in a wicked cool, slightly square bottles and is packed in wooden six pack boxes. Another fun find for your daily meals!